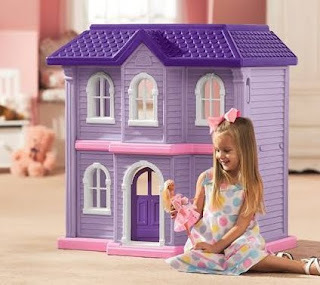 Little Tikes Classic Dollhouse - Less than $44 Shipped! Little Tikes Classic Dollhouse – Less than $44 Shipped! If your little girl is dreaming of a dollhouse for Christmas, here is one that won’t break the bank. Right now, Little Tikes has their Classic Dollhouse marked down from $139.99 to only $39.99. Plus, if you use the code BYAH2006, you can even save another $6.00! Shipping will set you back $11.00. You can actually make this deal even better if you go through Shop at Home you can get 4% of your purchase price back or go through Ebates to get 3% back. Just search for Little Tikes after sign in at either site and then dollhouse when you get to the Little Tikes site. If you go through Shop at Home, your net total (after shipping, discount and rebate) will be $43.64 ($40 – $6 +$11 – $1.36).